Stop manually assigning tickets to agents and let Round Robin evenly assign them for you. Trakdesk automatic ticket assignment (Round Robin) works like magic. With built-in functions and smart technology, Round Robin automatically and intelligently assigns tickets that falls into a group to the next available agent in the group. 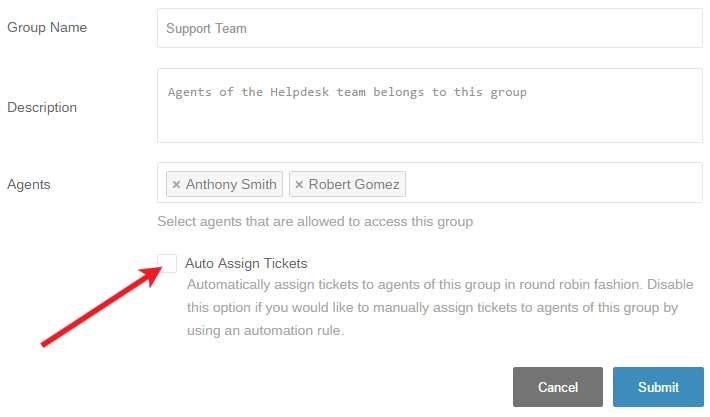 Select the group that you would like to setup round robin automatic ticket assignment for and enable the Auto Assign Tickets checkbox option. Note: Automatic ticket assignment will evenly assign tickets to agents of this group via round robin fashion. For this to work, agents status must be set to Available before tickets can be assigned. If disabled, the agent will be removed from the queue and new tickets will not be assigned to him / her. Another thing to note is that automatic ticket assignment is intended to work with incoming emails only. Ticket that are manually created in your helpdesk or customer support portal will not be assigned via round robin. If you need to assign tickets for these channels, you can setup an event trigger automation rule to do so. Sometimes you may need to take a minute and unplug from the computer or perhaps it's your day off. In this case, Round Robin will not know that you are away and will automatically assign tickets to you. To prevent this issue, you can simply mark yourself as "Unavailable" and you will be automatically removed from the round robin queue and no new tickets will be assigned to you. Once you're ready to resume, simply mark yourself as "Available" and you will be placed back into the queue and round robin will start assigning tickets to you. 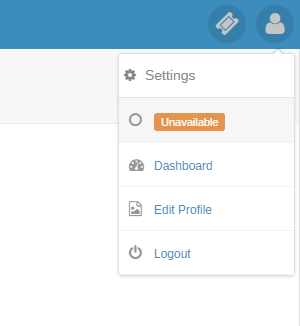 Note: Your status will not automatically change to Unavailable when you have logged out from your helpdesk, you will be required to manually change your status to prevent new tickets from being assigned to you via round robin.